TenguLife: The curious guide to Japan: Thanksgiving and Japan - A celebration? Not really. Thanksgiving, unlike Halloween which seems to become more popular each year, hasn't translated to Japan. 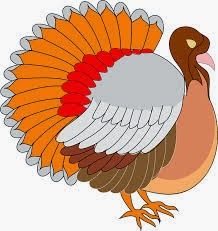 It's an important celebration for the sizeable American community across the country who kindly invite friends of all nationalities to join them for the day but turkeys are relatively safe compared to their US compatriots. An English friend of mine was once asked by someone unaware of the origins of the day if he also celebrated Thanksgiving back home. His reply "yes, but we celebrate in March when they left". Oh, and if you want a chuckle, go to Google and type "George Bush turkey" and click on images. It will make you smile.